‘Most Orwellian winner yet’: The Invention of Russia takes Orwell Prize. George Orwell’s notebook in which he lists ideas for what would become Nineteen Eighty-Four, including ‘newspeak’, ‘doublethink’ and ‘two minutes of hate’. 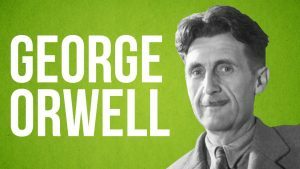 The masterpiece that killed George Orwell – In 1946 Observer editor David Astor lent George Orwell a remote Scottish farmhouse in which to write his new book, Nineteen Eighty-Four. It became one of the most significant novels of the 20th century. Here, Robert McCrum tells the compelling story of Orwell’s torturous stay on the island where the author, close to death and beset by creative demons, was engaged in a feverish race to finish the book. 1984 thought crime? Does it matter that George Orwell pinched the plot? George Orwell’s Nineteen Eighty-Four is a classic – but it owes its plot, characters and conclusion to Yevgeny Zamyatin’s 1920s novel “We”. Freedom or oppression? The fear of dystopia. Mike Ashley considers how British, Russian and American writers created repressive imaginary worlds and totalitarian regimes in order to explore 20th-century political concerns. Nineteen Eighty-Four and the politics of dystopia Roger Luckhurst describes the political environment in which George Orwell wrote and published Nineteen Eighty-Four, and analyses its different – and often opposing – interpretations. David Bowie dreamed of turning George Orwell’s 1984 into a musical. Hear the songs that survived the abandoned project. George Orwell’s luminous truths, Jason Cowley at The Financial Times. Orwell’s review of Assignment in Utopia. 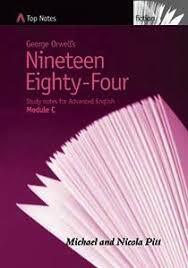 Assignment in Utopia is widely recognised as one of the texts that served as inspiration for Orwell’s novel Nineteen Eighty-Four. Orwell’s political diary. Read diary here. A collection of pamphlets, mainly political, formed by George Orwell.